A hidden gem in the heart of Central London, just round the corner from Oxford Circus. 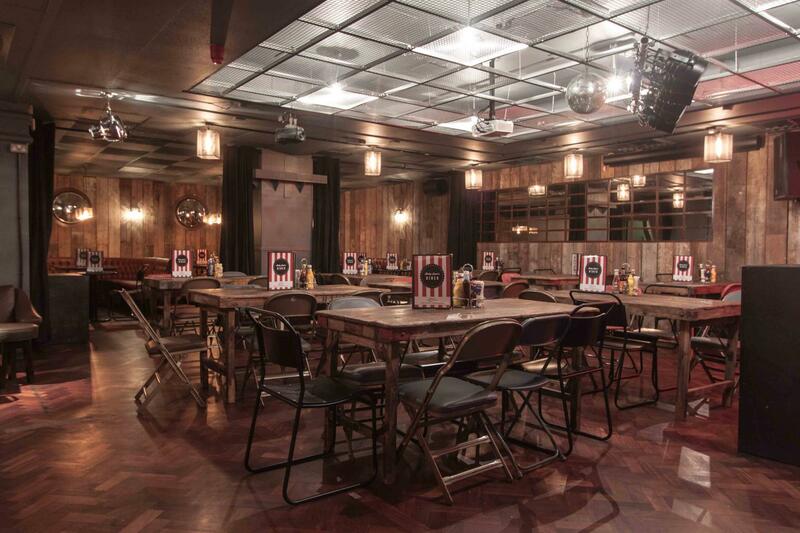 A traditional London boozer on the ground floor with a 200 capacity basement venue downstairs; complete with a brand new sound system, projector, private bar, various food options, one of the best drinks ranges in London and versatile seating/furniture layouts. 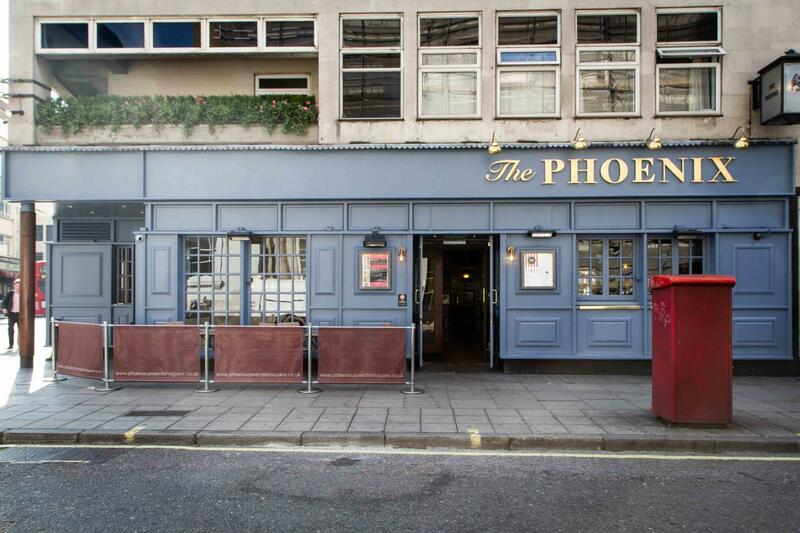 Book out the whole venue for your private parties for a very competitive minimum spend (with Buffets, Drinks Packages, DJs, Rockaoke, Music Quizzes and more), or simply reserve a semi-private area and benefit from the brilliant atmosphere of the Phoenix pub. A hidden gem in the heart of Central London. 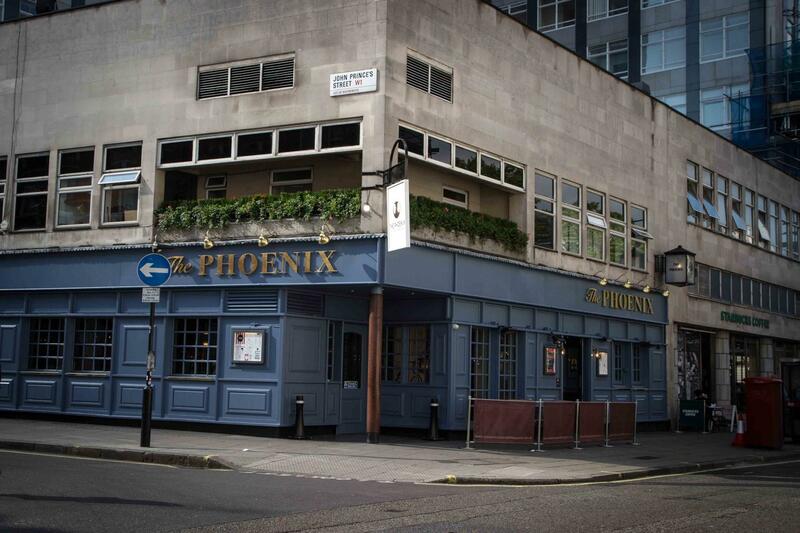 The basement at the Phoenix, Cavendish Square is one of London's best kept secrets. Only those in the know are aware that this typical London boozer has a multi-functional, totally versatile and history-packed venue tucked away below it's Oxford Circus. 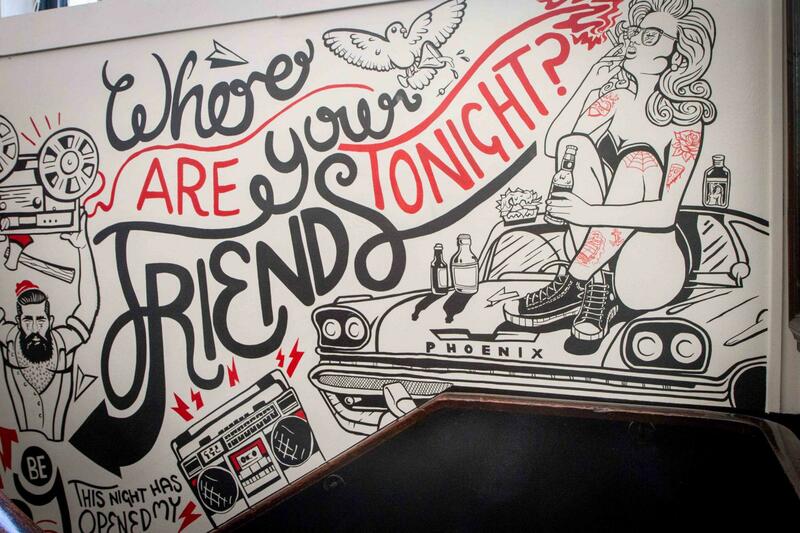 Playing host to long-running clubnights, music gigs and some of the biggest names from the world of comedy, the Phoenix basement provides the perfect, 'cooler' alternative to traditional venues for everything from conferences to private parties. Plus, there's the added bonus of a private bar and kitchen with modern and ever-changing offerings from the world of Craft Beer and Burgers. Katie, the venue manager, did a fantastic job at organising our work Christmas party at The Phoenix. She was very helpful and friendly and communication was quick. The staff on the day were also very polite, efficient and ready to help (e.g. when the photo booth didn't initially start up - luckily it did in after 20 minutes!). The venue size was good for our party of around 130 people - it felt cosy but not too packed. Decorations were festive with some Santa hats, crackers and an Xmas tree. We had buffet catering which was very tasty and worked well for the venue layout & party size. There were booths and also tables scattered around so people could sit and eat. After dinner the staff quickly cleared the area so we could start dancing. A couple of our chosen buffet food items sadly couldn't be sourced but the venue let us know in advance & offered a replacement option. Helpful and pleasant staff—responded quickly to my needs and supported my team. Great location. Set up the space as agreed. Great prices for drinks and food. Well maintained space—not shabby; clean and welcoming. Good PA and lighting. Would definitely use again and recommend to others. In 4 hours was not made aware that bar spend was in danger of not being met in time to do anything about it so lost my deposit. A lovely central venue. Very flexible and great communication.